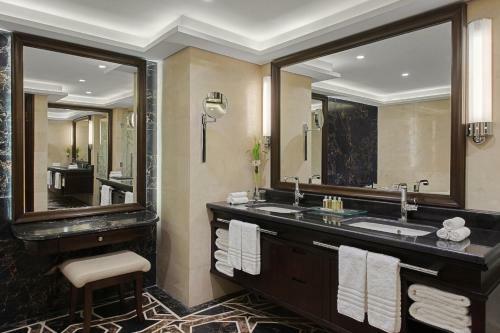 Air-conditioned rooms at the Riyadh Marriott have wood furnishings and are decorated in warm colours. They come equipped with satellite TV and a small refrigerator. 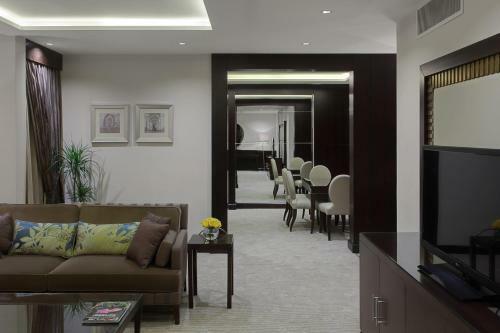 Some rooms include access to the Executive Lounge. The hotel‘s restaurant features a show kitchen and serves Mediterranean cuisine and grilled Arabic dishes. There is also a café that offers drinks and snacks. Several international restaurants are less than a 10-minute drive away. Guests can relax in the spa bath, or play a game of squash on the sports court. 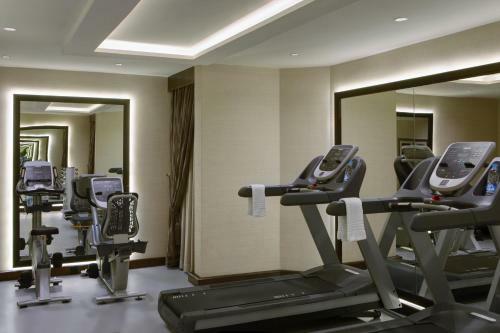 The hotel has a fitness centre with free weights and an indoor children’s play room. It also has a ladies-only gym and an airline crew lounge. 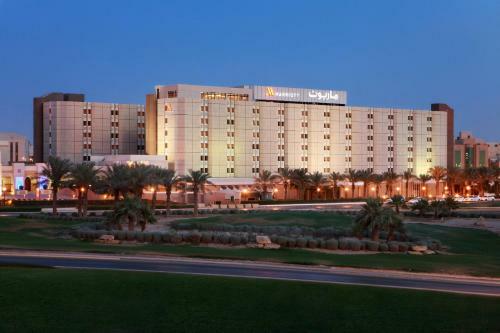 The Riyadh Marriott is a 15-minute drive from the Exhibition Centre and Diplomatic Quarter. King Khalid International Airport is 30 minutes' drive away and a shuttle service is available upon request. Free private parking is possible on site. Guests can enjoy delicious Mediterranean cuisine, freshly prepared in the show kitchen, at the Mosaic Mediterranean Restaurant, grilled Arabic specialities at the Al Naseem Grill or light snacks and drinks at the Atrium Café. Jedno/jeden starší dítě nebo dospělý je zpoplatněn/a/o SAR 86,25 za noc a osobu na přistýlce. Jedno/jeden dítě mladší než 3 let je bez poplatku na dětském lůžku. Internet: Bezdrátové internetové připojení je dostupné v(e) veřejných prostorách a stojí SAR 40,00 za hodinu. Kabelové internetové připojení je dostupné v(e) hotelových pokojích a stojí SAR 40,00 za hodinu. Kabelové internetové připojení je dostupné v(e) hotelových pokojích a stojí SAR 100,00 za 24 hodin. Stravování: Snídaně formou bufetu stojí SAR 109,25 na osobu.